Parametric insurances, i.e. 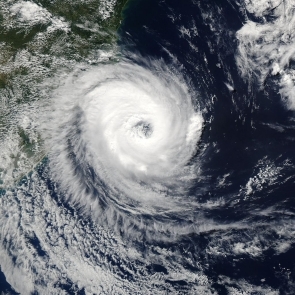 policies that do not cover the pure loss but provide a payment based on the severity and magnitude of a triggering factor, are increasingly used to face the cost for indemnisation after natural disasters, in particular after rare weather events. Although they are potentially open to mismatches between real losses and payouts, these programmes are particularly suitable for weather-related risks, since they provide a quick response to disasters without the need for an expensive on-site loss assessment. RED holds significant expertise in developing risk assessment studies to be used in parametric insurance programmes, as well as in the rapid estimation of losses and impacts. RED can offer assistance in the design and implementation of parametric policies based on natural triggers such as rainfall, flow, wind and earthquake magnitude, using remotely-sensed information, ground-based measurements and model results, and also integrating humanitarian relief information from platforms such as ReliefWeb. While loss metrics like average annual losses or loss exceedance probability curves might be a very accurate way to assess risk by natural disasters, they do not provide useful information for the quick response to their occurrence. 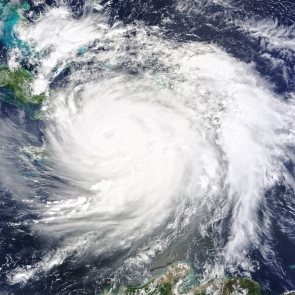 After a natural disaster, insurance/reinsurance companies and governmental institutions need to quantify their impacts rapidly in order to prepare for economical compensations and to plan a response. Modelling tools based on reliable and robust real-time or quasi real-time data are needed to face this issue. RED has a knowledgeable experience in developing quasi real-time platforms for rapid loss assessment after natural disasters such as excess rain, floods or earthquakes. RED can offer customised tools based on real-time data assimilation from satellite, reanalysis or other regional-to-global scale products, using up-to-date hazard models and detailed exposure databases. RED can also offer the development of web-based tools for a quick and user-friendly management of the post-disaster phase. Monitoring the hazard and the losses due to weather-related phenomena is paramount to the development of robust insurance policies, as well as for the deployment of response and mitigation measures. Monitoring tools with user-friendly web-based interfaces are needed to make this task easy for final users. RED provides operational web-based applications computing near real-time flood characterization as well as loss estimates. RED can develop stand-alone, easy-to-use, reliable, web-based applications for the computation of the hazard, population affected and losses in near real-time comprehensive of the data collection procedure. A risk management specialist plans and directs programmes and procedures for responding to natural disasters such as floods and earthquakes. Risk management specialists help organizations prepare for the worst and ensure continuity of their operational activities. RED can offer highly-qualified specialists in the management of natural risk and disasters. They can conduct studies on the causes of the disaster, quantify its impacts, collect and collate data on triggers and losses, help understand the regulation framework, conduct field work and assist decision-making. The insurance industry often requires the services of an independent calculation agent, whose main task is to calculate the potential payouts of an insurance policy following a procedure established by a third party (the policy developer). This procedure often requires running complex mathematical models. RED holds the necessary modelling and insurance expertise to carry out in a highly reliable and secure way the calculation required to determine independently the outcome of a policy.